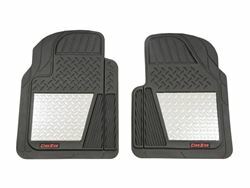 L: 28" x W: 19"
All Weather Floor Mats - Front - W 19" x H 28"
W 19 in x H 28 in. 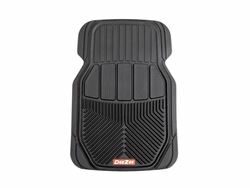 W 61 in x H 27 in. 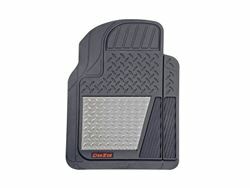 All Weather Floor Mats - Front - Brite-Tread Insert - W 20.5" x H 27"
W 20.5 in x H 27 in. 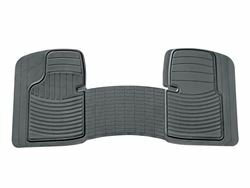 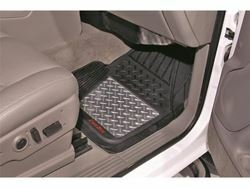 All Weather Floor Mats - Rear - W 17" x H 17"
W 17 in x H 17 in. 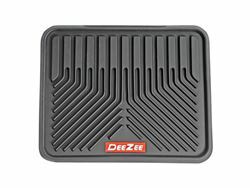 Dee Zee Floor Mats - Protects the interior of your vehicle. 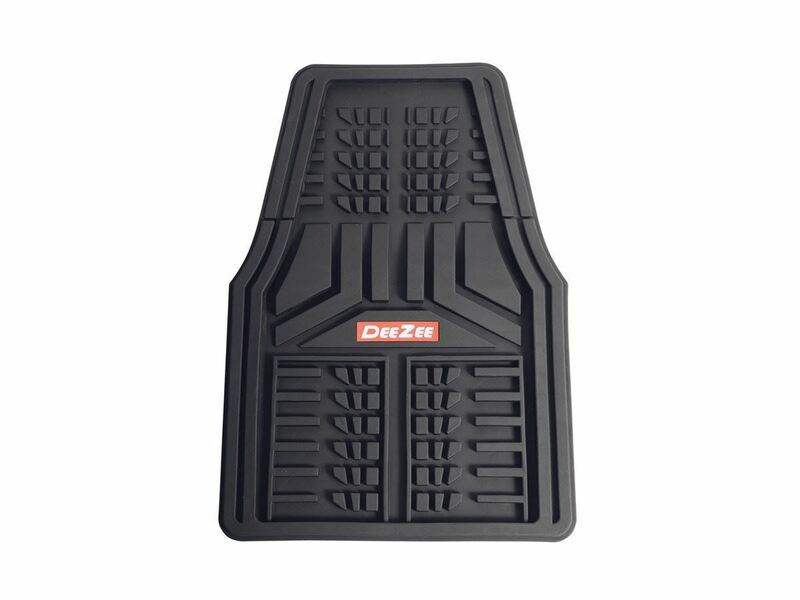 Constructed of thick, tough, and durable OEM-style rubber. Dee Zee Floor Mats will protect the interior of your vehicle from whatever you were stepping in. 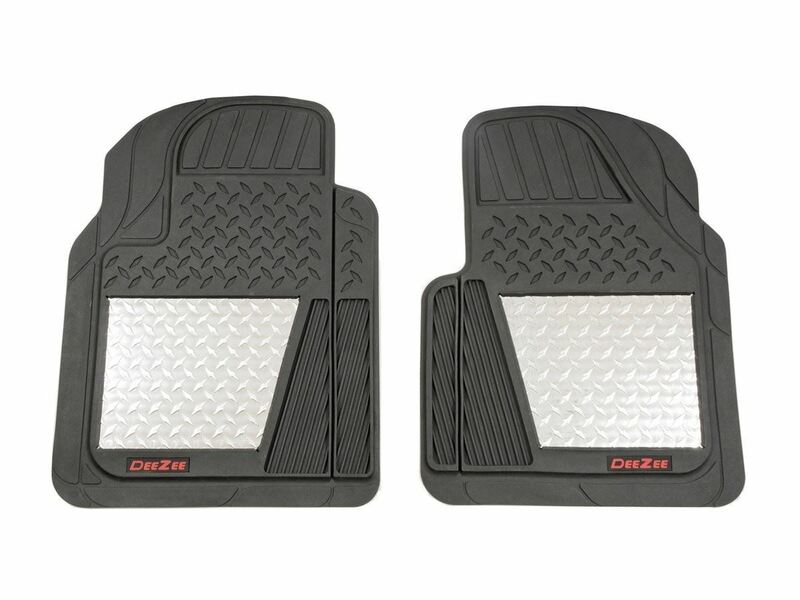 They will help keep what is on your shoes off the carpet. These mats are constructed of thick, tough, and durable OEM-style rubber and have deep groves that hold water, mud, and snow. These grooves will keep it away from your vehicles interior. 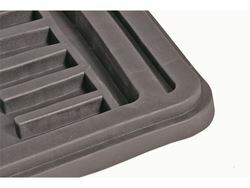 The All Weather mats have a raised pattern to increase traction. Rubber cleats on bottom grip the carpet and keep mat in position and from sliding around. 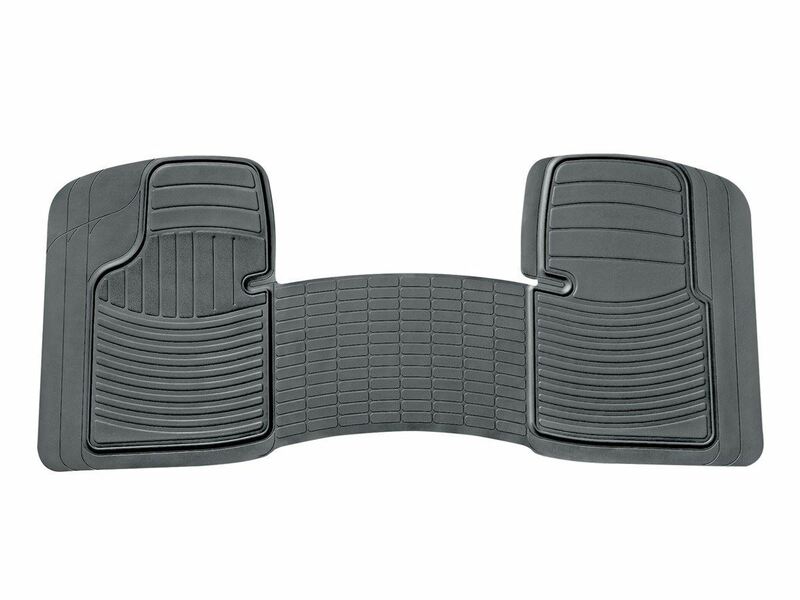 The mast are designed for a universal fit and can be trimmed to fit nearly any vehicle. 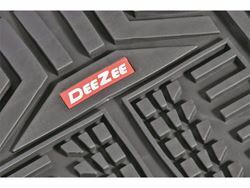 Dee Zee backs these mats with a three year warranty.